I love autumn, the colors, smells, and Halloween candy! 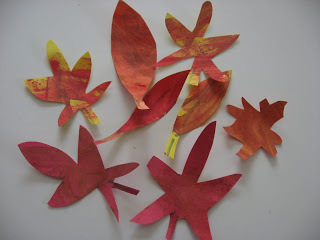 This fall hanging leaf craft is fun for all ages. 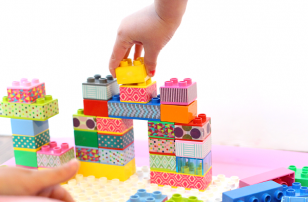 Depending on your child’s age and ability they can do all of it, or you can help like I did with my toddler. Either way, the end result will be well worth everyone’s effort! Gather your materials. 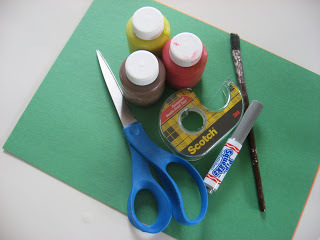 You will need 4 pieces of construction paper in fall colors or neutral, some paint, a marker, paintbrush, scissors and double stick tape. 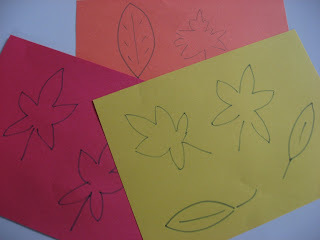 Draw or have your child draw some leaves on the construction paper, leaving one page blank. I am using all different color paper but all one color is fine too. 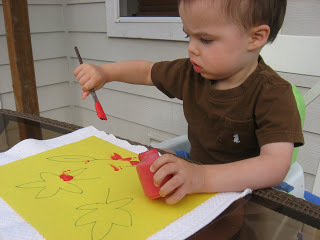 Have your child paint the leaf drawings. Add a 2nd color mix away it makes the leaves look that much more realistic! 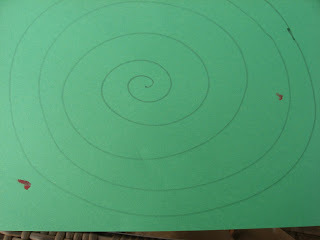 While your child is painting the leaves, draw a spiral on the blank page of construction paper. 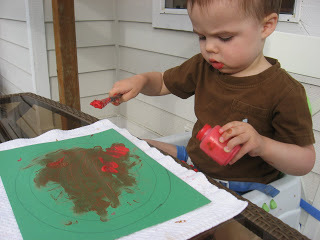 Paint the spiral. Let everything dry. 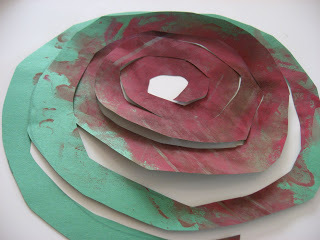 Using double stick tape, add the leaves to the spiral. 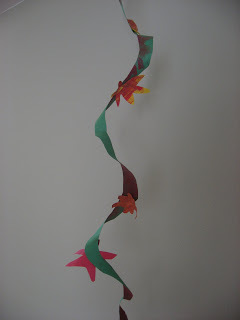 I like using this over glue because it’s not as heavy and the fall hanging leaf craft hangs nicer. 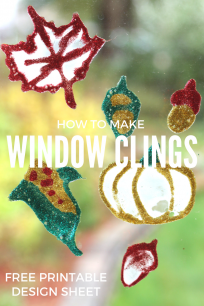 Hang your fall hanging leaf craft up to decorate your house! 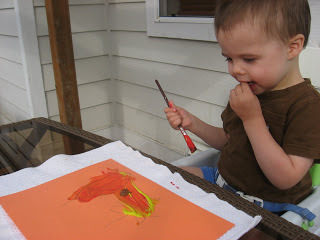 My son barely ate dinner, pointing to his art, and excitedly telling his dad that we made it outside! 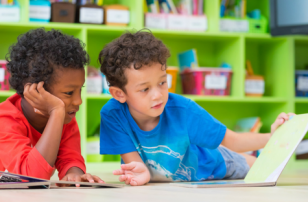 We have loads more great fall activities to enjoy! Next Post: Get On The Bus ! 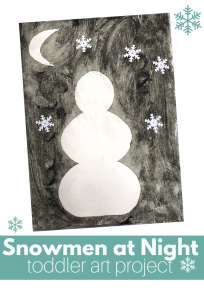 We are all over this project tomorrow! I seriously love you! Lovely, can’t wait to make it with the children at school. I love this! 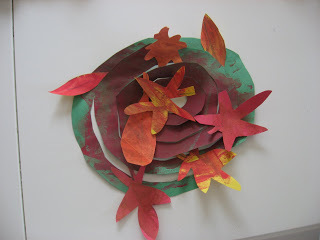 The leaves will soon be falling here – I could see making this with real leaves, too. Thanks! Erika I have done this with real leaves, it’s very finiky though and younger kids have gotten really frustrated, but school age kids would be great at it! I love your ideas. Thanks for being willing to share them. I thought you might be interested in another Autumn song called "It's autumntime." Here is a link to it if you are interested. 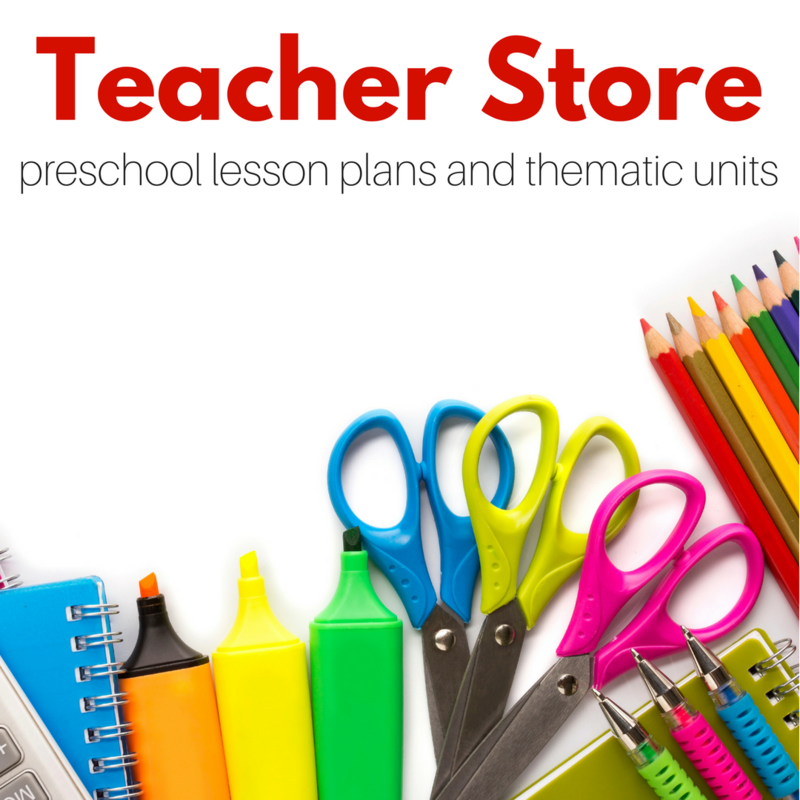 The same site has lots of other fun activity songs too. My momma used to say, “Imitation is the finest form of flattery.” Hope you’re flattered. 🙂 We tried. 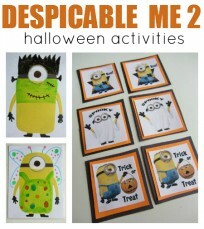 This is such a great fall craft for my two year old daughter. 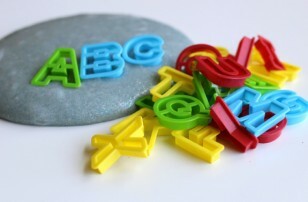 Thank you so much for taking the time to post these wonderful blogs. I have been so inspired by them so much so that I created an account just to thank you and I am going to Michaels first thing tomorrow! Jessela – Thank you so much! I love these craft. I need to do it with JDaniel this week.